Hey folks. After having our son Eli in March 2018 we decided to plan our first family road trip. We chose the Yukon, Alaska, and northeastern BC. Mostly because we live in northern BC making it relatively cheap for us to see this northern part of Canada and the U.S. with a baby. 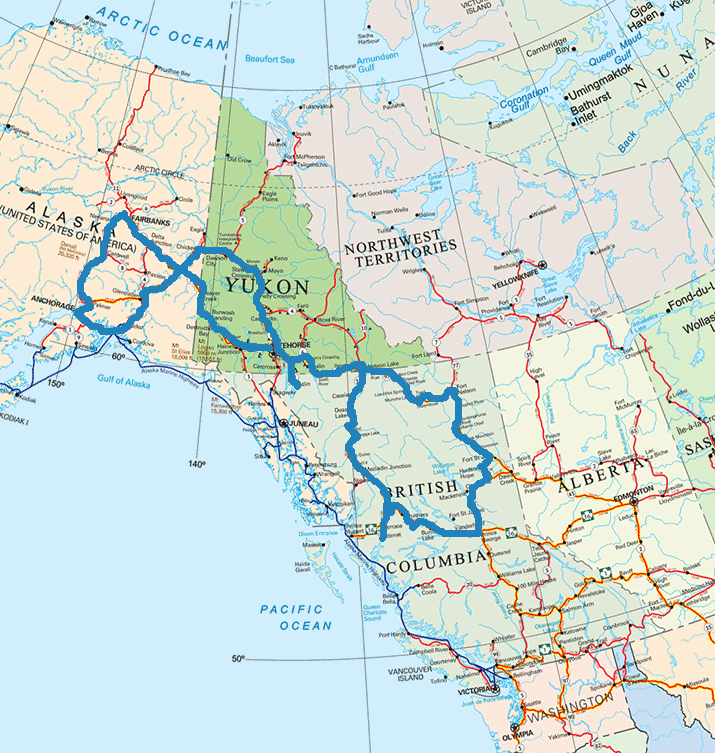 We spent 5 weeks on the road covering the Yukon, Alaska, and northeastern BC. It was one of the best trips we have ever taken. Here's where we went, and how we did it in a 2 part series (because this would be way too long a post to cover all of it at once). 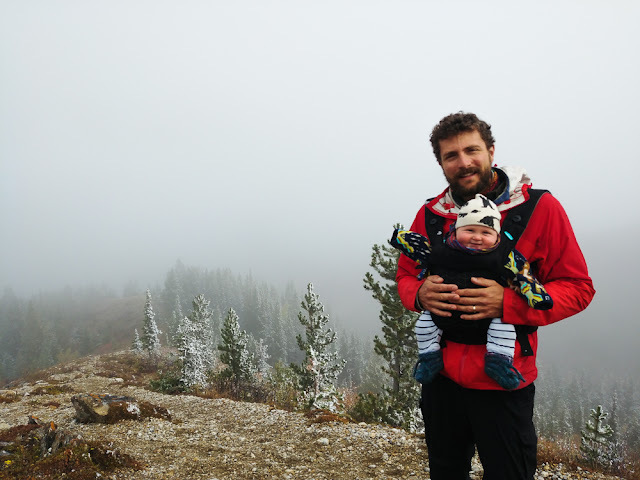 I will also cover a top 10 list later on the blog for best things to see in the Yukon, Alaska, and Northern BC, as well as a post on road tripping with babies so stay tuned. 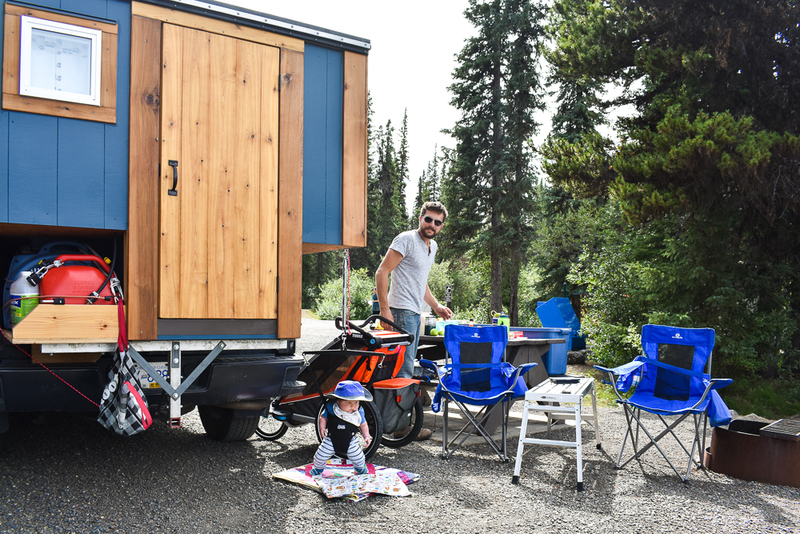 Chad put in some serious hours in the months just after Eli was born to build us a beautiful little truck camper. It is definitely LITTLE. It has benches along the sides of the walls with a storage area above the roof of the truck. Chad built a small foldable table that opens up to fit in the open floor space between the benches along the walls if we wanted to eat inside in rain. 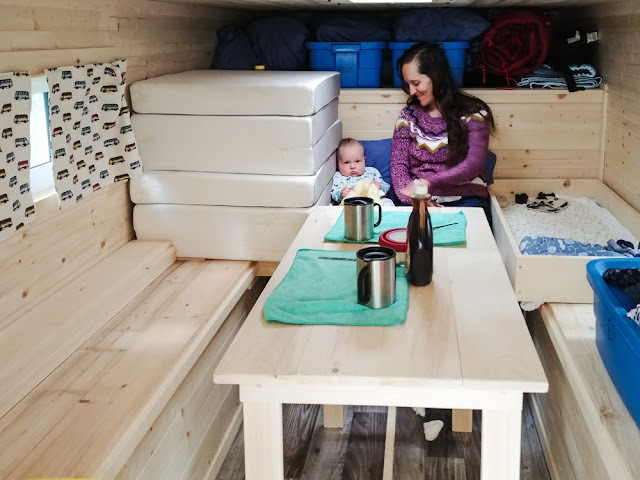 This table also folds up and sits on a ledge attached to each of the benches to close the gap over the floor space and creates a a flat platform across the camper width for us to fold out two tri-fold mattresses for a bed. This left enough space along the edge for a wooden frame that Chad built for the spot for Eli's bed. 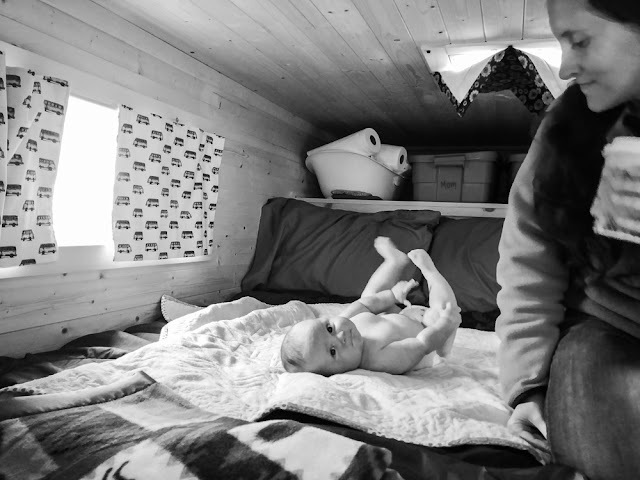 This wooden frame sat around 3 or 4 blankets that we stacked to act as a little mattress for Eli. In the corner Chad installed 2 electrical outlets and a thermostat to hook up to electric at RV sites so we could run a small heater and charge kindles or phones. We stored our food and cooking bins under the bed, and clothing and personal effects in the over head storage. We had a couple hooks set up by the door at the end of the trailer for coats, towels, and anything that needed to be hung to dry. Chad also installed a C-channel along the back end of the camper and wrapped the edge of a tarp around a dowel and then slid it through the C-channel to make an easy awning. I made some window covers and a cover for the roof vent to black out the light at night time since daylight would often last until 11pm. Chad also insulated the camper super well so it was ideal for travelling with a baby. We rarely needed our heater as our body heat was enough to warm up the camper. We then planned out the entire trip around camping and RV sites. We aimed originally to travel 3-4 hours a day, which left lots of time to explore. We also spent several days in some places that we wanted to spend more time in. We started out heading north up the Cassiar highway in northwestern BC. We stayed at Meziadin Lake, Kinaskan Lake, and Boya Lake campsites through northwestern BC. 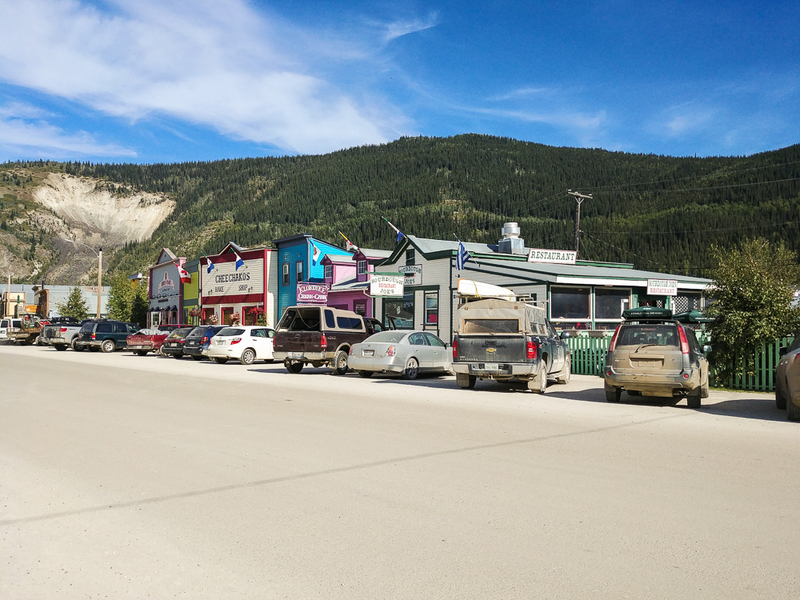 We stopped for lunch and a look around at small towns along this highway such as Dease Lake and Jade City. We also passed through some pretty intense burn areas from years ago where you can see the burnt up forest for miles in all directions. We very quickly figured out a camp set up and take down routine that allowed us to unpack or pack up in 20 minutes. This was key as it allowed us lots of time to really enjoy our late afternoon and evenings at the campsite we stopped at for the night. We mostly stayed at provincial park sites that usually came with a fee, but BC is also full of free rec sites that provide slightly fewer camping amenities, but still provide the basics (i.e. bathroom stalls, fire pits, cleared sites, and picnic tables). Our first stop in the Yukon was Watson Lake. A small southern Yukon community that provides the first real grocery store, gas station, accommodations, and restaurants upon entering the Yukon. 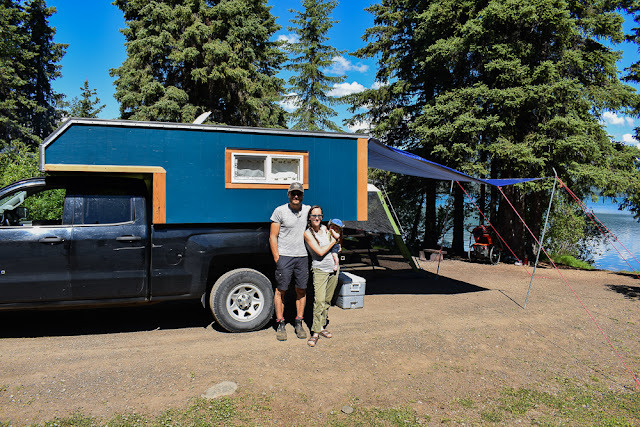 The last stop with similar amenities was Dease Lake (4 hours away) along the Cassiar highway. 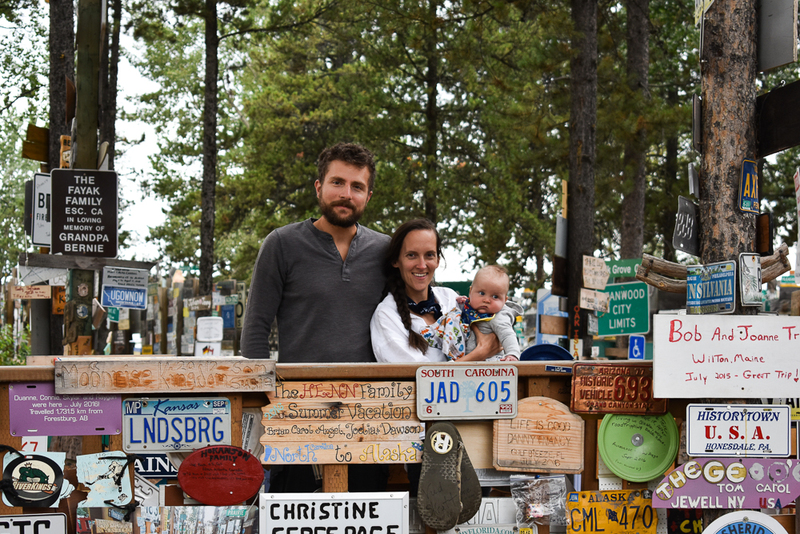 Watson Lake is also the renowned home of the Sign Post Forest. Basically, a small park full of sign posts covered with signs from all over the world. People passing through get a chance to leave their mark on this little patch of the beautiful Yukon Territory. So be sure to bring your sign if you're heading this way. 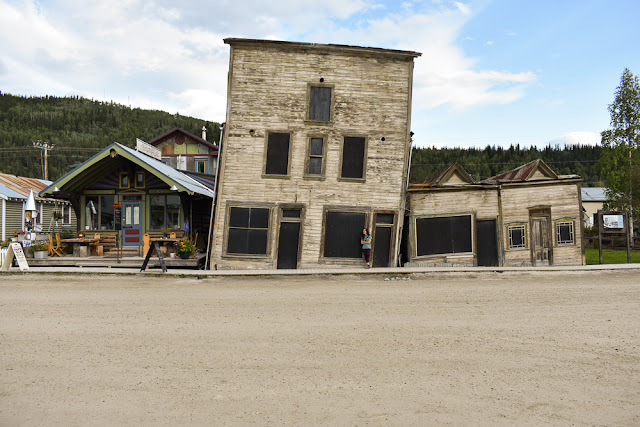 We then headed straight up through the Yukon to Dawson City, skipping past Whitehorse and all the small towns along the way. I know that seems like we blew through the territory, but I don't regret not stopping everywhere and we spent time in Whitehorse later on. 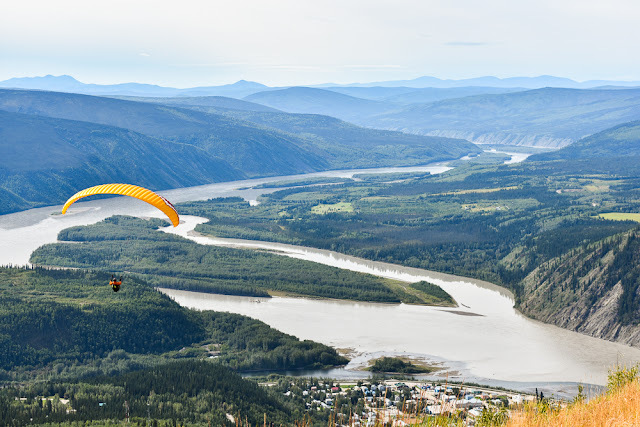 The time in Dawson City was definitely worth it. The main street and side streets throughout this little town were full of kitschy little shops to pick up a souvenir or some beautiful gold jewellery. It is after all renowned for its gold rush history. The buildings are historic, most of the streets are still dirt with boardwalks maintained as the primary sidewalks throughout town. We took an evening walking tour (highly recommend) which got us into some of the more restored buildings. The hiking and community trails also lead to some pretty spectacular views. 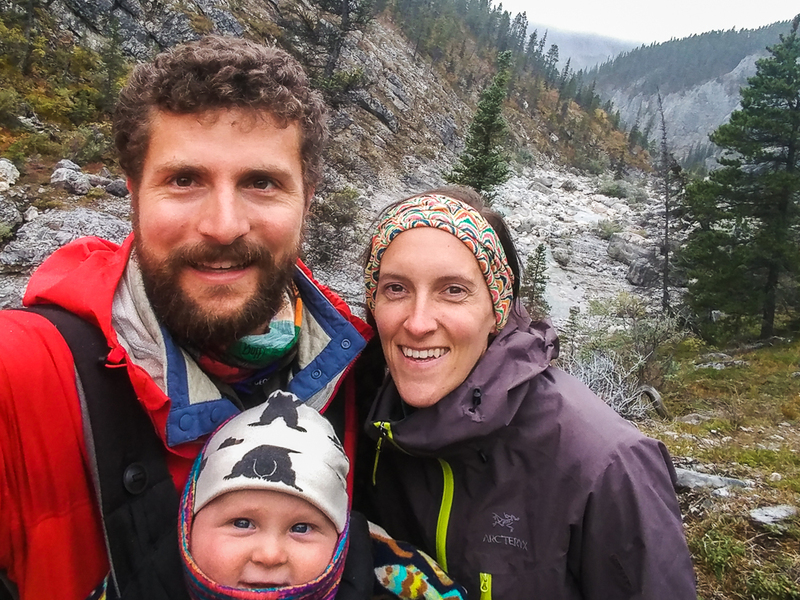 We spent our first night at a cheap campsite across the Yukon River. There is a very accessible ferry that runs for no charge to get you back and forth. Also, the camping in the Yukon is great. It's super affordable at $12 a site (for territorially run sites) and comes with free firewood in addition to the other basic amenities (bathroom stalls, fire pits, cleared camp sites, and picnic tables). We planned our trip to be there for their Discovery Days weekend, which celebrates the gold rush era. We stayed the rest of our trip at the Goldrush Campground and RV Park, making it more affordable while still offering a lot of services (i.e. showers, laundry, electricity, etc). After spending some time in Alaska (see Part 2 of the trip series), we came back into the Yukon through Snag Junction and headed south towards Kluane National Park. We really wanted to spend some time in and around Kluane National Park and passed through Haines Junction, Yukon on our way there. This was another good spot to fuel up and get some food. We headed south towards Haines, AK and camped at a campsite just outside of Kluane. There are several off the highway on the East side of Kluane. 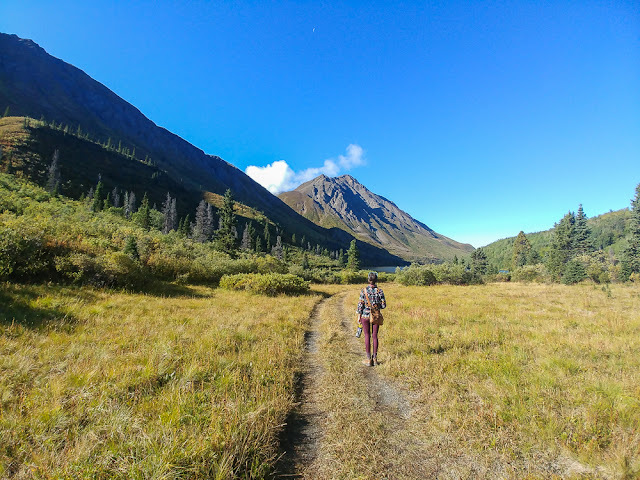 We spent a day hiking out to St. Elias Lake (so gorgeous) and took in some of the beautiful mountain and lake views that Kluane has to offer. This was pretty easy day hike. Chad carried Eli the whole way and we sat and had lunch at the lake. 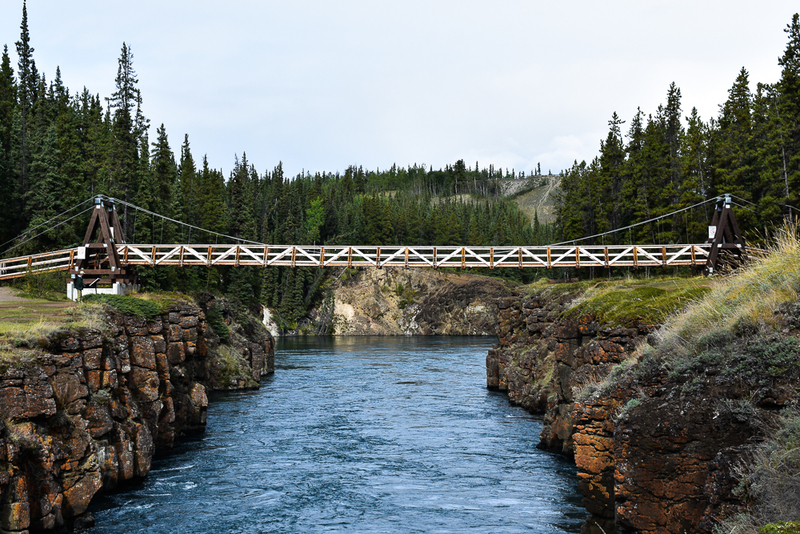 We then headed over to Whitehorse for a couple day stay at the Hi Country RV Park, and to check out what Whitehorse has to offer. A very cool city with some very cool spots to eat, drink, and shop. However, like some of the other cities we visited, we found Whitehorse to be underwhelming. In hindsight, if we could've spent a few more days in the area we could've checked out some more of the amazing hikes around the city. I strongly recommend planning enough time around cities so that you can explore beyond the sidewalks of the downtown core. 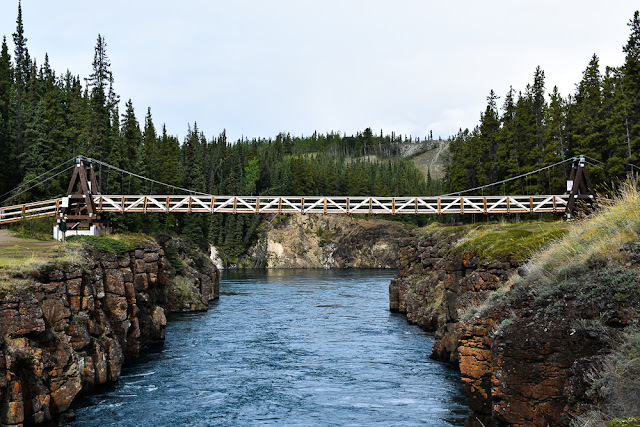 Whitehorse also boasts some pretty incredible museums and easy outdoor activities such as hot springs. *Disclaimer*: I may have mentioned it earlier on, but Chad and I are not city people. We LOVE the outdoors and a chunk of all of our holidays are planned around how we are going to spend time out in the natural environment. We are always keen to see the next city we might be visiting, but find ourselves bored with the downtown vibes usually within a day. We checked out the S.S. Klondike and spent a day walking around the Yukon Wildlife Preserve taking in the beautiful animals native to the area. Definitely allow yourself at least a half day if you're headed to the preserve and expect a long walk on an easy, flat dirt road. There was lots of beautiful picnic spots in the preserve so a picnic lunch would be ideal here. We also took in a short day hike out to Miles Canyon near to town. Super easy half day hike along a small canyon leading into the city. Be aware though that there is a set of stairs to get down into the canyon from the parking lot. Afterwards we checked out the fisheries in the area (Chad's priority everywhere we go) and checked out some of the shopping and food in Whitehorse. Both of which were pretty eclectic and delicious. 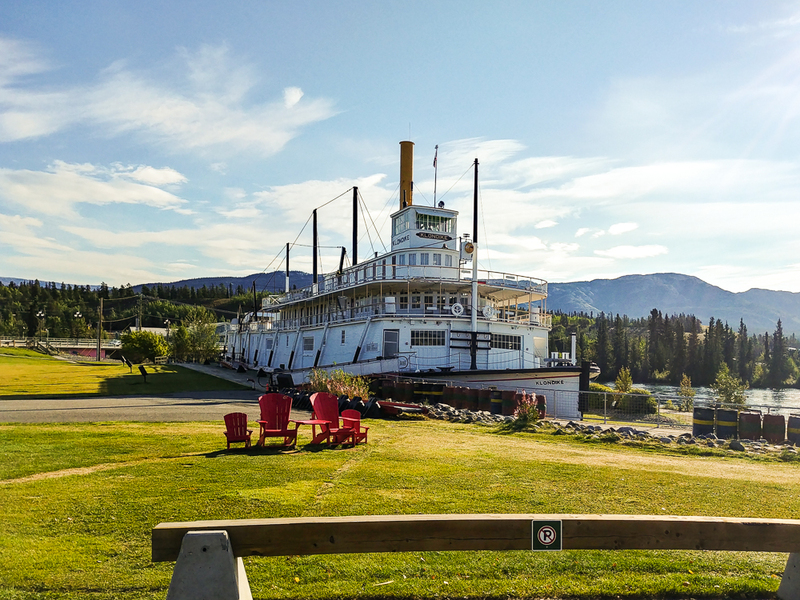 After a 1 day detour down to Skagway, AK (it was just so close, we couldn't resist), we then headed south past Watson Lake and down into northeastern BC. 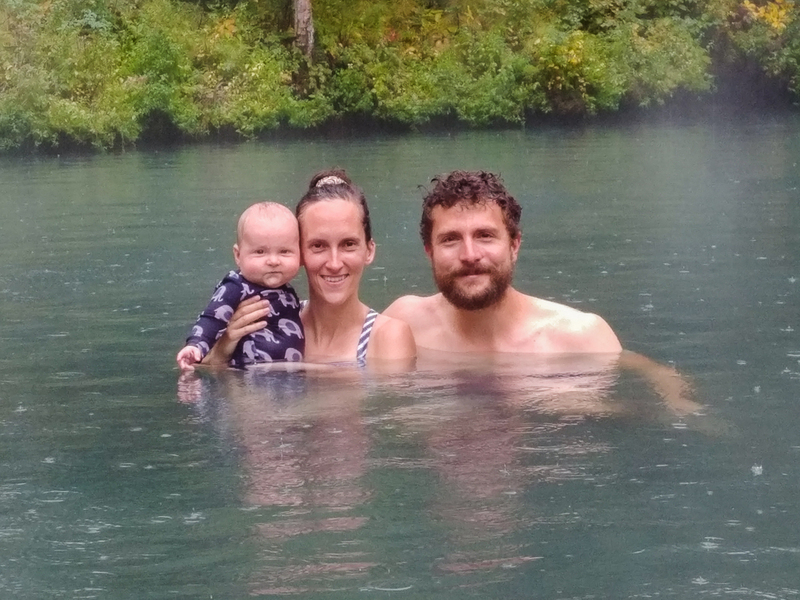 We spent a night at the Liard Hot Springs. I highly recommend that you do not miss this if you're passing through. Even if you can give it just a couple hours. Do it. It is a natural hot springs that the BC parks have maintained and turned into this beautiful little steamy forest mecca for you to bath in. We hung out in the lower pool as it was cool enough for us to bring Eli in for a little dip. 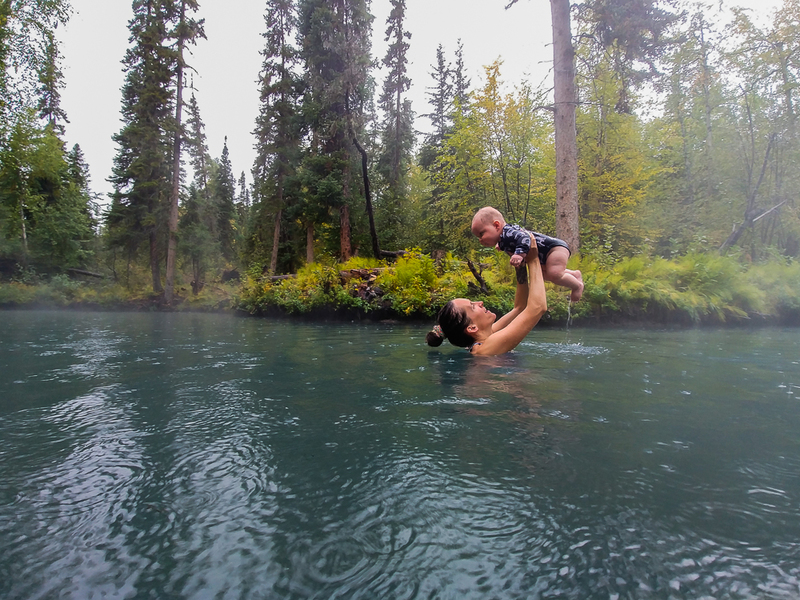 It was pretty cold outside and raining, but we were still all so warm in the water. Uggh, I was so sad to leave. 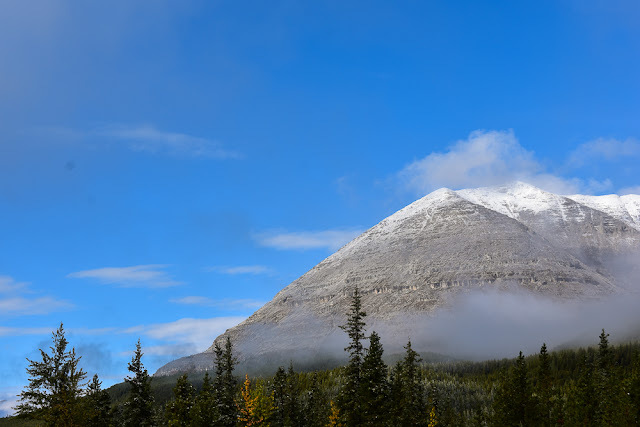 But we continued on south through the Northern BC rockies passing through beautiful spots like Muncho Lake, and stopping for the night just south of Stone Mountain Provincial Park. The drive between the Liard Hot Springs and Stone Mountain is breathtaking. And if you're going to see wildlife in BC, you are sure to see the bison and elk off this stretch of highway. We wanted to stay at the provincial park campground, but when we got there around 3pm on September 2nd it was already -2 degrees celsius so we headed about a half hour down the valley towards a lower altitude since we figured we would need a plug-in for heat. Despite the cold, Eli was a trooper and we got in a few hikes in the area. We also saw quite a bit of wildlife between Liard Hot Springs and Stone Mountain Provincial Park (i.e. bison, caribou, mountain goats, and big horned sheep). We left the sleepy little RV park at the Tetsa River and continued on south. We stopped in to visit with some friends in Fort St. John for a night, but otherwise headed back west across BC to our home in Kitimat. We've done this drive a number of times and were pretty ready to be home after 5 weeks on the road. Stay tuned for a few more upcoming posts on our road trip travels, especially about road trips with babies where I cover some of the pros and cons to this form of travel, as well as what were essential for getting us through this trip. 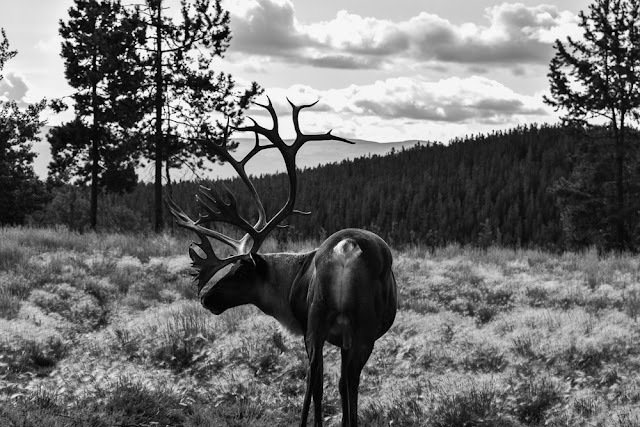 Please comment below if you've visited the Yukon or northern BC and what places you liked the best. Thanks. We definitely loved it and would highly recommend it. You've pretty well mentioned all my faves. I can't pick just one.